The only way we can achieve our mission is to embrace the culture of continuous improvement, the management team at Tecserv constantly review and update company procedures to ensure our organisation is forever evolving and developing in line with the industry and its requirements." 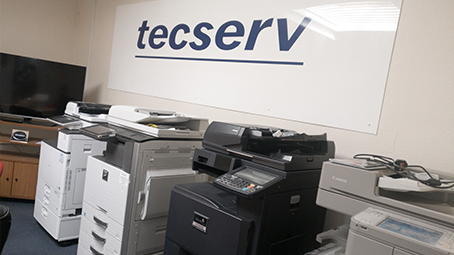 Glenn Bailey, the company's MD, originally had the concept of Tecserv in 1999 while working in high profile role for a leading photocopier manufacturer. During this period the office equipment industry was heavily reliant on non-specialist transport options and Glenn felt he was constantly being let down by the transport sector when it came to moving photocopiers around the country, frequently Glenn would experience occasions where devices would have been left disassembled at clients premises, not on the correct floor and on some occasions just left outside! It was at this point Glenn recognized the industry's need for high quality, specialist photocopier handling service and in 2000 Tecserv Ltd was established to provide the industry with a viable alternative to the non-specialist transport options available at the time. 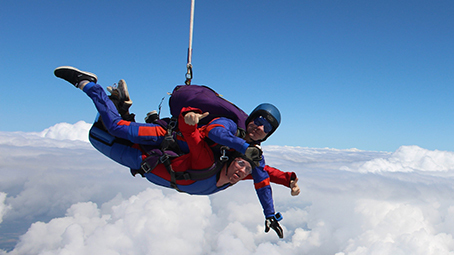 In 2004 when the organisation was incorporated we made the conscious decision to re-brand to Tecserv Ltd, we have since grown considerably and have therefore registered the Tecserv logo as a trade mark to protect our brand moving forward. Initially a two-man operation the business has since gone from strength to strength to become the UK's leading photocopier handling specialist employing over 30 staff across 3 locations nationwide and a fleet of 12 dedicated vehicles. 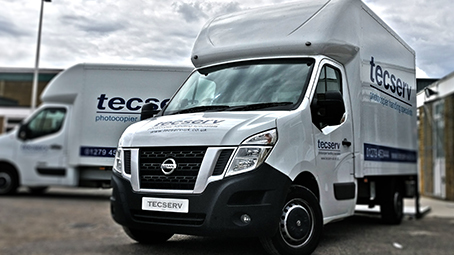 Tecserv's reputation has been achieved through dedication and ongoing investment in staff and resources, we back our service promises with constantly updated technical expertise across the business, fully trained personnel, extensive industry experience as well as a dedicated fleet of vehicles.